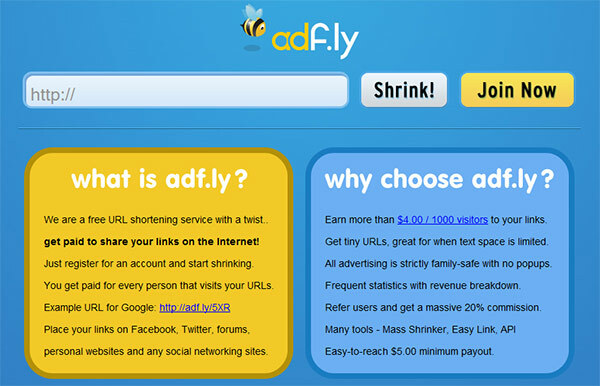 With this short link service you can earn up to more than $4.00 USD for every 1000 visitors that click on your short links. You get frequent statistics with revenue breakdown to keep a close track of your earnings and there is an Easy-to-reach minimum payout of just $5.00 USD. The payments for your earnings are being made trough PayPal and AlertPay, so you can get the cash quickly and easily, you just need to have an account in one of these online payment services. On a side note, with the help of this service you can not only earn from visitors clicking on your short links, but also bring visitors to your new web projects in order to make them more popular in no time… with minimum costs.